The Allentsteig German War Cemetery is located in the north eastern part of Austria - a the boarder of a military training area. The cemetery mainly contains the graves of German soldiers that were killed in the very last months of fighting during World War II, but also some graves from earlier stages of the war. 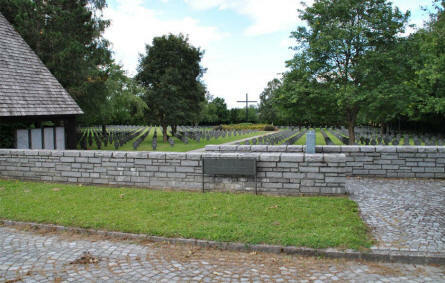 The cemetery contains the graves of 3,855 German soldiers and 45 soldiers of other nationalities. The entrance to the Allentsteig German War Cemetery in Austria. 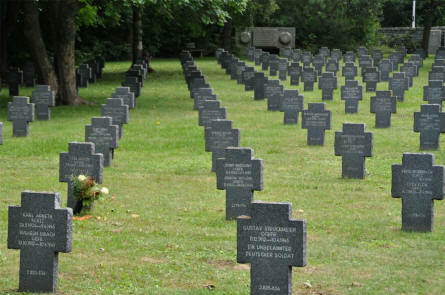 Some of the graves from April and May 1945 at the Allentsteig German War Cemetery in Austria. One of the graves at the Allentsteig German War Cemetery in Austria - with a photo on it. 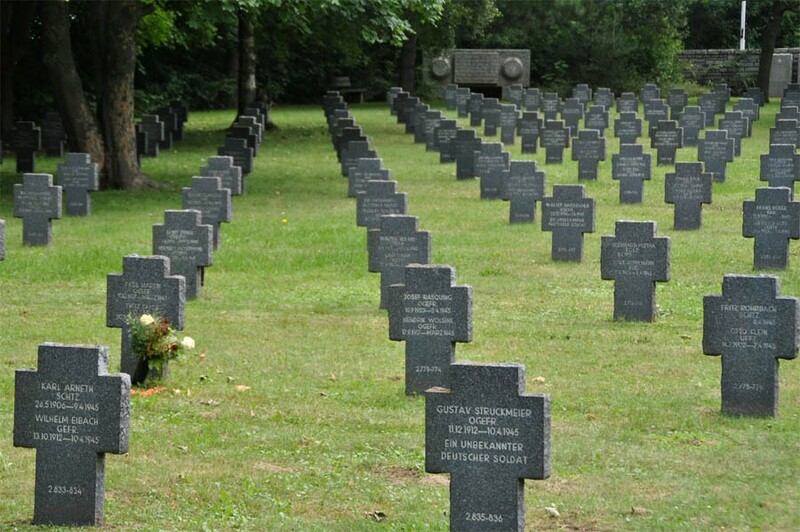 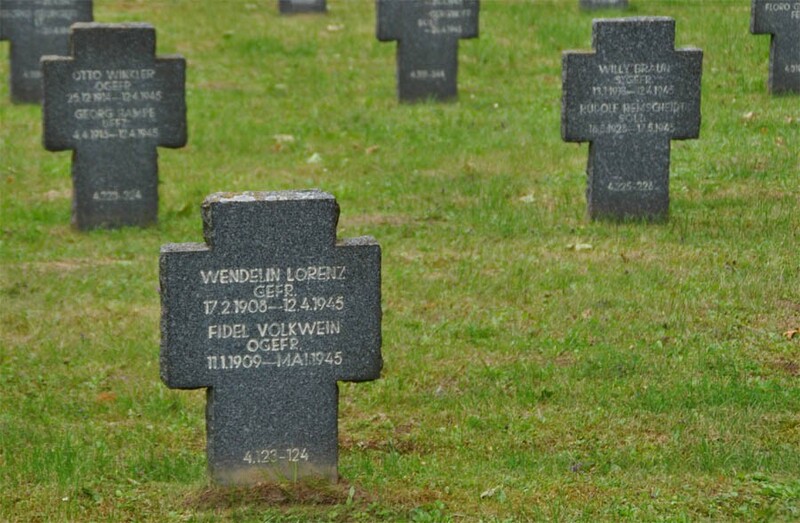 Some of the many German graves at the Allentsteig German War Cemetery in Austria. 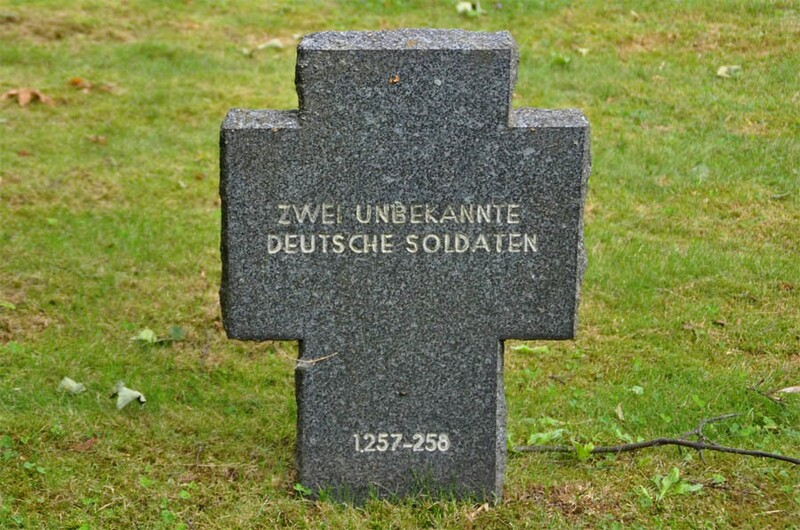 One of the many "Unknown" graves at the Allentsteig German War Cemetery in Austria. 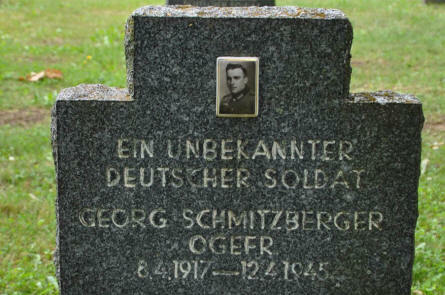 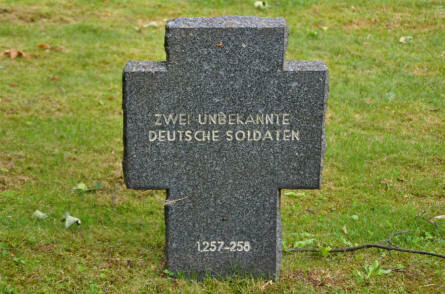 Here a grave for 2 unknown German soldiers. 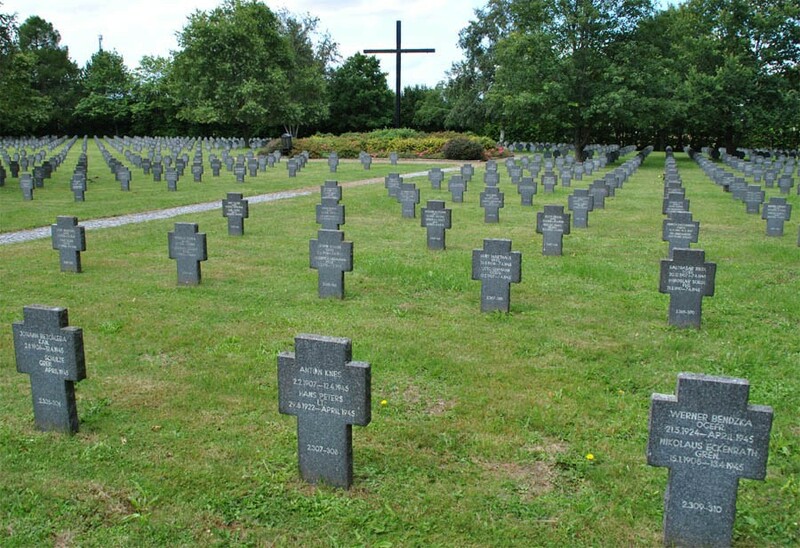 Some of the many German graves at the Allentsteig German War Cemetery in Austria - with the cross of sacrifice in the background.